I did more or less everything I planned to today... I ate some homemade blueberry pancakes, DIY'd some art for the apartment and watched Game of Thrones. To me that's a pretty awesome holiday. 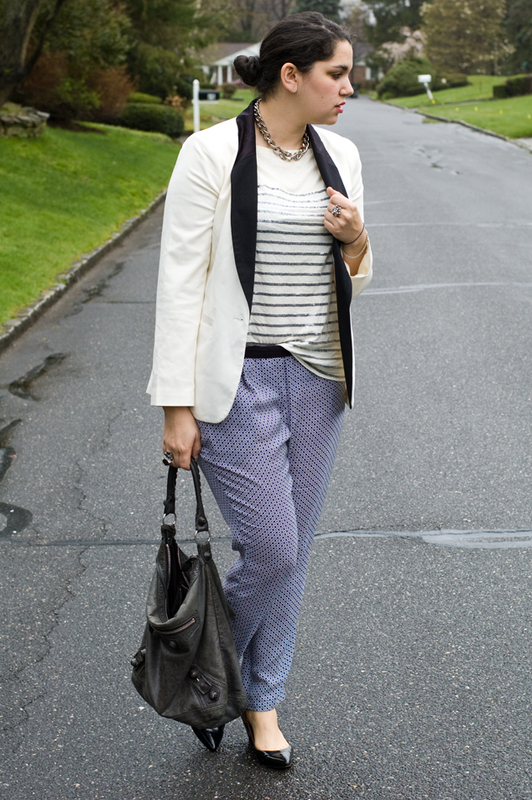 Love the pant/blazer combo here. So beautiful! i like this! oh yes, gimme this outfit!! Game of thrones is amazing! I could watch it over and over!! i really really love this look!! nice blazer! love the black accents! You look very chic in this casual ensemble! 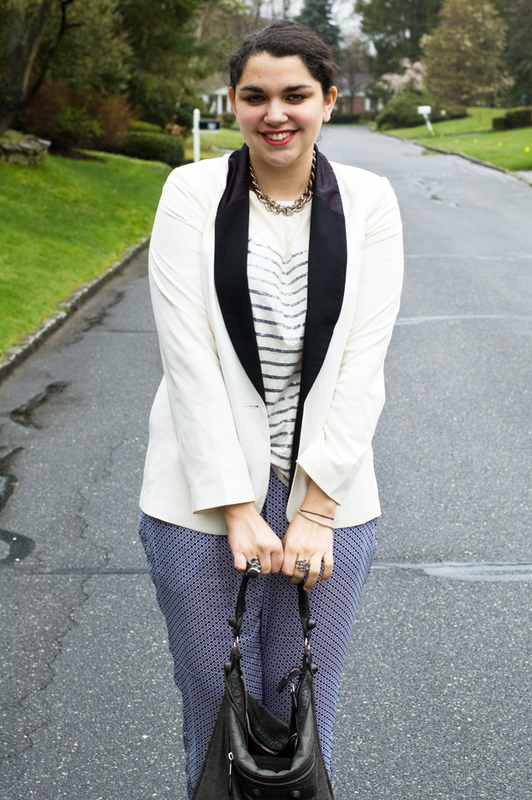 And your blazer is such a timeless statement piece, love it! God love this outfit!pants are like, perfect! PS thankyou for visiting and stuff! you have cool blog! maybe we can fallow each other? Im already fallowing you! Thank You so much :) Great casual ! love Your blazer <3 ! In love with those pants!..The look so comfy but still chic. I really like the combination of the pajama pants with the striped t-shirt. Very stylish and chic!! I love the outfit! I think it is very chic and sophisticated! Love the look! So glad you had a fabulous holiday! Hey sweetie, wowee I am loving this look because its such a great mix of trends and styles and you completely nailed it!! love DIY art! share pictures please! Cool outfit! You look lovely! You always have to dye for pieces! love this outfit, you look super classy! and i'm all about the chunky chains these days! ugh. I literally was seconds away from getting a blazer exactly like that at Zara today - and now I totally regret my decision not to. You look fantastic! I'm obsessed with the way you paired a structured blazer with those loose "pajama pants". Need a pair of those. Probably look a lot better on you than me though - you're rockin' them. PS: THought ofyou so much today while I was in Zara. A few of the necklaces were SO you! If you send me a pic, I can definitely keep my eye open for it. And yeah, it's so classy here it hurts. I hope to see you soon on my blogg!